By the pines of our Camp Hazen…. There are a number of ways to keep up with what is happening at camp and within the Alumni community. Send us your contact information! 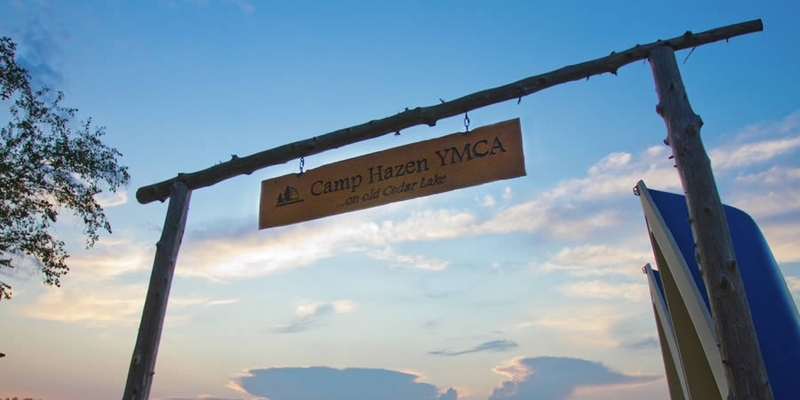 Camp sends out various mailings and emails during the year: The Hazen Sparks newsletter, program registrations and fundraising appeals will keep you in the loop. Make sure camp has your current contact information so you can stay up to date on the great things happening at Hazen. Become a friend of “Edward Hazen” on Facebook. Facebook has already connected over 1500 Hazen alumni and friends. Reconnect with your old camp friends and to share memories, stories and pictures. The year-round camp staff maintain this page and post important camp news and upcoming events. Old friends are always welcome. Visit Camp! If you are ever “in the neighborhood,” stop on by. It is best to call the office first, (860) 526-9529, and let us know that you are coming. Can’t remember where the camp is? Check out the directions page. Send your child (or someone else’s for that matter) to Hazen! Nothing connects you back to Ol’ Cedar Lake like having your son or daughter attend the same camp you did. Your child may even be in your old cabin.